It amuses me when people post to their personal websites/blogs that they are not, in fact, dead. I’ve even done it myself. Probably more than once. Hey, here it is again: I’m not dead. The truth it I’ve been in a bit of a funk and haven’t had the motivation to write anything. I’ve been a bit down. A little on the low side. Bummed out. Sad, even. Why, you ask? Well, I’ll tell you. It’s not my death that’s the problem, it’s my mom’s. Yes, you read that right, my mom passed away. It’s actually been a couple months now and I’ve had a bit of time to try to get used to it. But if I’m being completely honest, I’m really not used to it . . . and I don’t think I ever will be. I think that’s okay though. I don’t think you’re supposed to get used to it or get over it. On that note I’ve been trying to think of a fitting tribute to my mom and, perhaps, write something here that will do her justice. So far, I’ve pretty much failed. What I can do is tell a story. 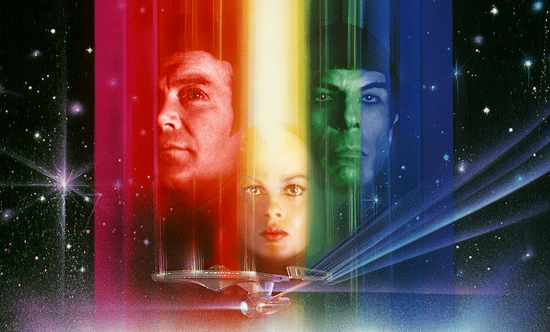 It was 1979 and the movie version of one of my favorite TV series, Star Trek, was finally coming to the big screen. It was called Star Trek: The Motion Picture and it would open on that Friday in December to mediocre reviews and somewhat disappointing box office. But STtMP’s relative success is not really the point of this particular trip into the past. The point is my mom let me skip school on that Friday, drove me to the theater and waited in line with me from the early morning until we were finally seated and where, in spite of the reviews, I had a great movie-going experience. That’s the kind of mom she was. Sure, some could argue allowing your child to skip school to see a movie isn’t the best example of parenting. But that doesn’t really matter. What matters is she encouraged me … in whatever direction I wanted to go. Even if she didn’t exactly understand, or share, my passions, she helped me figure out ways to indulge and pursue them. She was always there for me whenever I needed her and whenever I wanted to try something new. No judgements, few questions, just support and love. Even when I made mistakes, she was there for me. That happened quite a bit, as it does when you’re growing up. But with her help I learned from those mistakes and became better for it. These are the things a parent does. It’s what my mom did. I would not be who I am today without her. I only hope I end up being half the parent she was. This entry was posted in family, Personal and tagged Death, Life, Movies, Robert Wise, Star Trek, Whatnot. Bookmark the permalink.